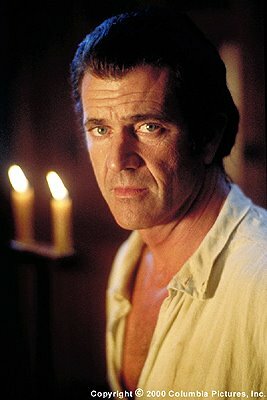 I confess to being conflicted about the Mel Gibson flap. The guy was drunk and stopped by the police. He apparently had some nasty things to say about the Jews. I don’t like or approve of people making disparaging remarks about racial, religious or cultural groups. Period. I don’t think it is desirable, necessary or helpful. I condemn that sort of rhetoric. I also condemn driving drunk and losing control in public. On the other hand, here in the United States we are free to say pretty much whatever we want to, however despicable, hurtful, stupid, nasty, inconsiderate, or inflammatory it may be. We are free to criticize the Congress, judges, politicians, religious figures, sports figures, the President of the U.S., or anyone else we want to. We can call the President an idiot if we want to; people have done so recently. We can accuse our military personnel of horrible atrocities without any proof; people have done so recently. We can accuse elected leaders of anything we choose without proof; people have … you know the drill. Such is the nature of our God-given right to free speech protected by our Constitution. Speech is protected; even stupid, nasty, hurtful, or inflammatory speech. When you make public statements of a controversial nature, you are fair game for retribution in kind, or of some other kind. These days if you criticize or say something nasty about the President, or Christians, or Republicans and conservatives, the retribution is light. Normally, saying bad things about Jews is okay, because Jews and the others in the preceding group are on the Politically Correct Target List. Why, then, is Mel Gibson the focus of so much “righteous indignation”? Sure, he’s a big name. He drinks too much and shouldn’t drive (or talk, for that matter) when he’s drinking. He said some stupid, nasty things. Maybe it was the booze talking, or maybe he’s a Jew-hating bigot. But what Gibson did is no worse than what so many others with big names do regularly. People like Michael Moore, Cindy Sheehan, that Baldwin guy, Ted Danson, the Dixie Chicks … the list is a long one. Seems to me Mel Gibson is getting far worse than he gave, and he’s getting far worse than a lot of the others who don’t engage their brain before starting up their mouth.